Portion control is a phrase used a lot when it comes to popular weight loss methods. But if you’re wondering what it involves, and whether weighing everything before it passes your lips is the only way to lose weight then we have the answers for you. Here are our top tips for controlling your portions in order to boost your phentermine weight loss. The key to portion control is essentially ensuring that whatever food allowance you have throughout the day is spread evenly. So, if you’ve been guilty of skipping lunch in the past and then getting home at 6pm and raiding the fridge for something quick before you’ve even shut the front door then this tip is for you! You need to eat a minimum of three times per day, and going for more than 5 hours without eating is a definite no-no. Skipping meals leads to a drop in blood sugar levels and a serious increase in hunger, meaning that when you do sit down to a meal, you’re likely to overeat, and with less satisfaction. Obviously the 5-hour rule doesn’t apply during the night, which is why breakfast is so important to refuel you for the day ahead. Then be sure to eat at regular intervals and reach for small and healthy snacks to keep you going until your next meal. This rule is especially important for people taking phentermine as its appetite-suppressing effects can leave you not wanting to eat anything. 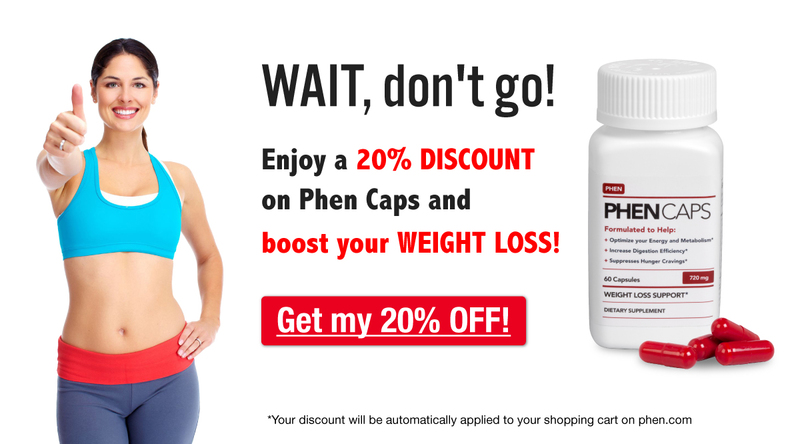 But, you have to eat to lose weight, as many phentermine users explain here. How much is 2oz of dry pasta? What does a 3/4oz portion of pretzels look like? No, we’ve got no idea either…Which is why becoming a portion control expert means weighing your food or getting measuring cups. Having a frame of reference is very helpful to gauge how much food you should be eating. If you’re constantly over-estimating, you could be eating a lot more than that 1200 calorie-limit you think you’re sticking to. Once you get used to recognizing the quantities you should be eating of certain foods then it gets easier, but if it’s a guessing game then studies show that we tend to serve ourselves too much rather than too little. It’s not always easy or convenient to weigh or measure food, so another way to help with portion control is to use this handy guide to recognize by sight how much of each type of food counts as a portion. For example, 3oz of lean meat is equivalent in size to a deck of cards, while a cup of breakfast cereal is about the size of a fist. This guide is especially handy for difficult-to-measure sauces and spreads, such as peanut butter, with one serving being around the size of a ping pong ball. And, the guide is also perfect for judging restaurant portions if you’re eating out and didn’t particularly want to bring your scales with you! Portion size is the amount of a food we choose to eat, while the serving size is a recommendation by the manufacturer of that food. Serving sizes per container are listed on the nutrition facts label. If a packet of whole grain crackers states that two crackers is a serving, but you’re eating four, then you’d have to double the nutritional information to know how many calories and how much fat you’re consuming. Many nutritional labels actually suggest smaller serving sizes than the average person would eat to appear healthier. Canned soup is particularly guilty of this in order to stay within the limits for the amount of sodium in a can, so this is a way to check whether foods are as innocent as they first seem. Portion control plates like this one very clearly and visibly show exactly how much of each type of food you should be eating at meal times. Portion control plates typically dedicate half the plate to vegetables while the other half is divided between starches, such as rice, and protein, such as chicken. Studies show support for these plates being very effective for participants trying to lose weight. In a 2007 study by researchers at the University of Calgary, 130 participants with type 2 diabetes were randomly assigned either a portion control plate or a regular one. The results showed that 17% of those who used the portion control plates lost 5% or more of their body weight compared to 4.6% of those using the regular plates. The plates were also effective at helping 26% of the participants using them to cut back on their diabetes medication due to their weight loss success, compared to 11% of people using the regular plates. Even without portion control plates, this is a good way to structure your meals to ensure that you eat more vegetables and consume fewer calories. Sticking with the plate theme, it’s important to eat your snacks from a plate as well as your meals. It’s all too easy to end up overeating when we’re reaching directly into the container, especially when we’re distracted by the TV or work and can end up mindlessly snacking. Not only will you be able to key an eye on portion control, the empty plate will serve as a reminder that you’ve eaten so you’re less likely to go back for more, which we tend to do if we eat straight from the packet. Planning what you’re going to eat and when you’re going to eat it might sound a little regimented, but it’s a great way to get used to portion control. Before you go shopping, plan meals and snacks then buy your food accordingly. When cooking, it’s often easier to cook in batches, so serve yourself a portion and then save the rest for leftovers to eat at lunch the next day or an evening in the week when you have less time. You should also schedule in when you’re going to eat throughout the day to avoid getting overly hungry. In addition, people on phentermine can sometimes experience such severe appetite suppression that they forget to eat. However, it’s crucial to eat regularly in order to maintain a steady metabolism and lose weight. So, set reminders on your phone or allot specific times for meals and snacks. We hope that these tips help you on your way to becoming a portion control expert! Let us know if you have any tips to measure your portions and also be sure to share with us how portion control has helped you lose weight!